I’ll admit it: I miss the days of carrying my backpack to school, all decorated and totally personalized. I wanted to stand out in the crowded hallways! If you have kids in school, help them do the same. 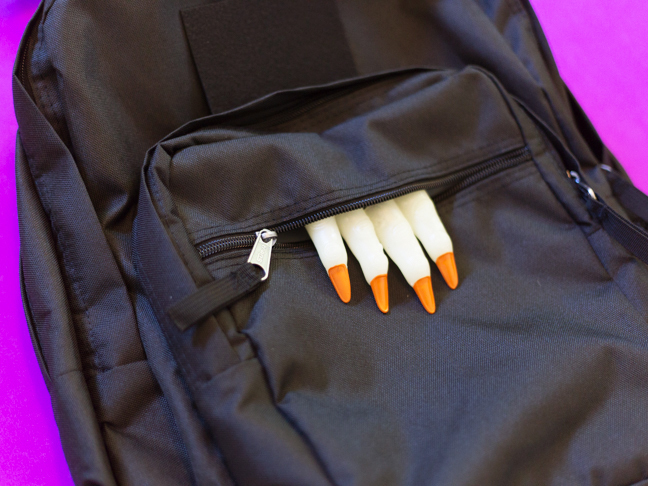 Deck out their backpacks with some custom touches á la Hotel Transylvania 2 just in time for Halloween and they’ll be too cool for school. Here are a few creeptastic ideas to get you started! Make it Fly like Mavis. 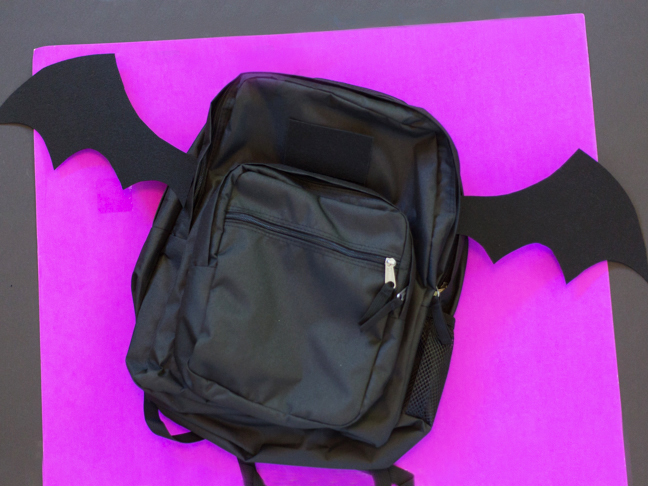 Cut two bat wings out of stiffened felt and hot glue them onto the sides of the backpack. Just make sure they’re not so wide that your little spook can’t fit through doorways! Add a Creepy Friend. Hit the Halloween section of your local craft store and search for some creepy zombie or witch fingers. Glue them to the inside of the upper flap on the backpack’s zipper pocket. Now it looks like you have Drac trying to make his way out! You can tuck the fingers into the pocket to be able to zip it back up. Stripe It. 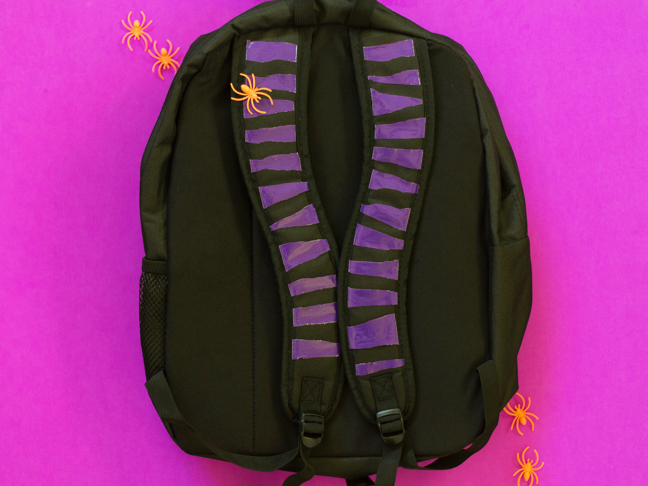 Cut jagged strips of a colored duct tape as if Wayne roughly clawed them apart for you and add them to the straps of the backpack for an unexpected pop of color. Use a Keychain. You’ve heard of a lucky rabbit’s foot, right? How about a lucky skeleton?! 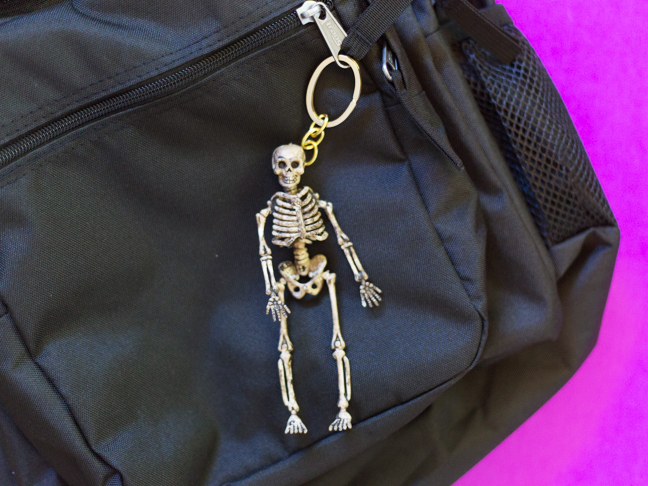 Make a little keychain from a plastic skeleton (or any Hotel Transylvania 2 character—except Griffin, for clearly obvious reasons) and add it to the backpack’s zipper pull. Make a Buggy Pattern. 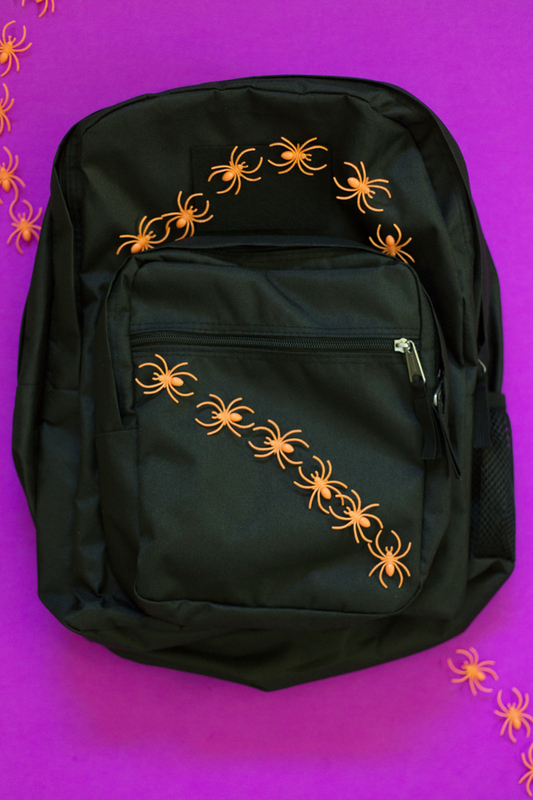 Use plastic spider rings (you can find them at a dollar store or craft store) to create lines that criss-cross the backpack, like the many stripes of Johnny’s favorite jersey. 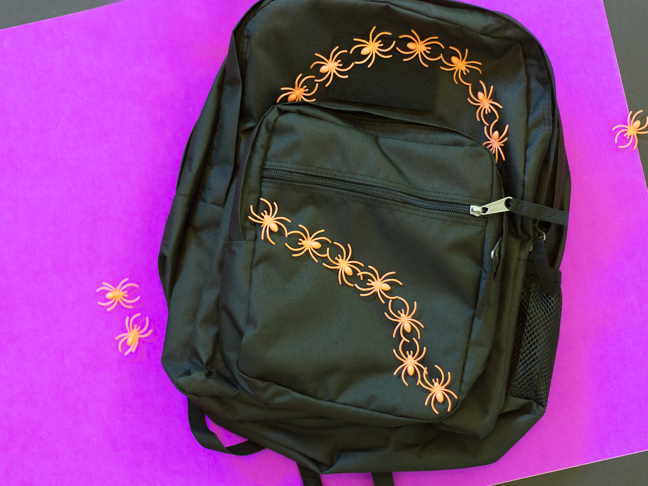 Cut off the ring portion and add a dot of hot glue to the back of each spider, then press the spider onto the backpack. Keep adding spiders until your pattern is complete!